Yangon, the capital, is adorned with idyllic lakes, shady parks and green tropical vegetation and is considered as the''Garden City of the East". 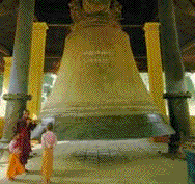 In Mandalay, you come closest to the real Myanmar of old. The second largest city, population 700,000, is the cultural heart of Myanmar where the most refined arts, traditions of dance, music and drama live on. 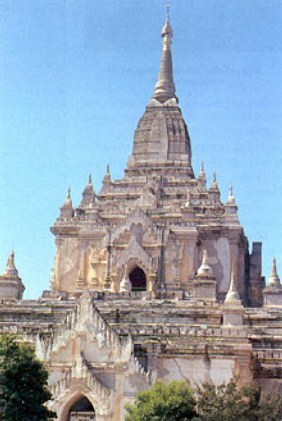 Mandalay is also known for its fine gold and silver crafts, wood and marble carving, silk thread weaving and ancient tapestry. The last capital of the Myanmar kingdom, Mandalay not only offers wonderful sights to behold, but also has a number of nearby attractions, most historical and fascinating, all within a 3.2 kilometre radius - from cool hill resorts to nostalgic market places, from an ancient palace to a river ride up the famous "Road to Mandalay", the Ayeyarwady River, or a ride in unique trishaws or horse-drawn carts. 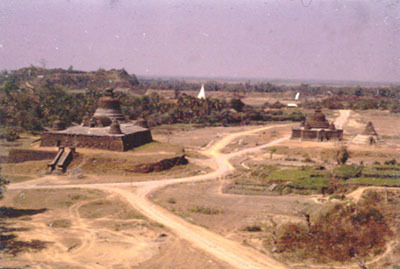 Founded in 849 AD it became the capital of the first unified Kingdom and the first multinational Union of Myanmar in 1044 AD. 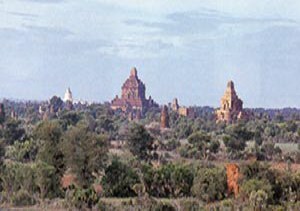 42 square kilometres of open land, sited on the east bank of the famed Ayeyarwady River, covered by 5,000 mysterious and magnificent stupas and hollow pagodas of a bygone era, make Pagan one of the wonders of the world. Here lies a great monument to one of Myanmar’s brilliant eras. Today it is a spectacular archaeological site that offers a rich heritage from a twelfth century empire. A panoramic view of this land at sunset will leave you with a lingering sense of awe and wonder. 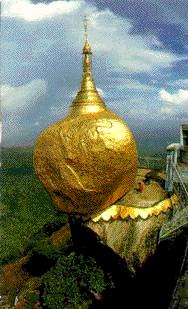 A 160-kilometre drive from Yangon, and an invigorating 12-kilometre trek uphill along a meandering trail from the base camp at Kin-pun ... a golden boulder, shaped like a hermit’s head and capped with a 6-metre high gilded pagoda is perched precariously on the edge of a precipice. 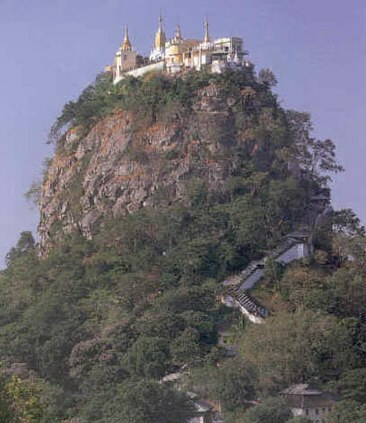 1121 metres above sea level - the holy rock of Kyaiktiyo,is Myanmar’s most popular pilgrimage centre. Legend has it that the Buddha’s sacred hair is enshrined in this rock. 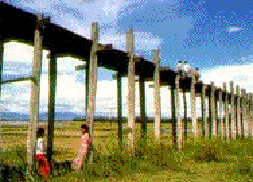 Burma overview: Burma is a country of quiet eccentricity and charm, a country apart from the modern world. Decades of social and economic isolation have preserved many of the traditional features, physical and cultural, which have been lost in other Asian countries. 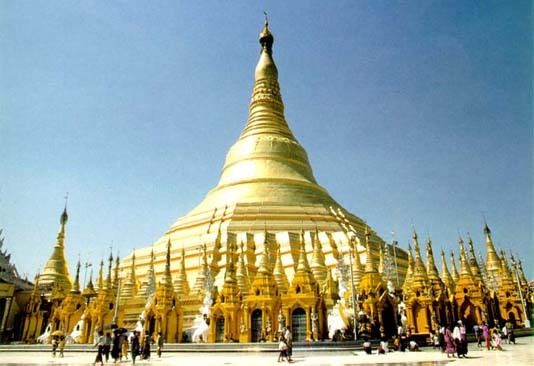 Burma, now called Myanmar is a captivating travel destination - for its diversity of sightseeing, for the wealth of cultural and scenic attractions it offers and above all, for the warmth and friendliness of its charming people. Much of the country's attractions is in its history and artistic culture. Lying at the meeting point of two of the world's great civilisations - China and India, it blends both influences with its own very special local characteristics. A visit is a delight for the genuine traveller. 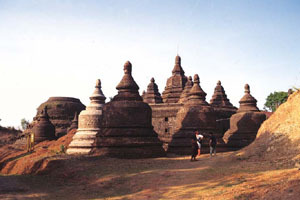 9 day all inclusive MYANMAR CLASSIC TOUR from AUD$3899 pp twn sh ex Australia. 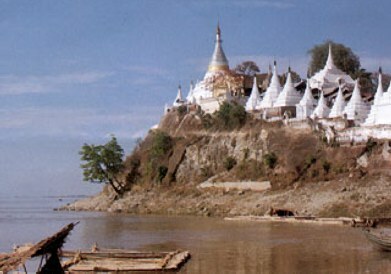 A journey on Burma's Irrawaddy River is one of life's greatest travel experiences. No vessel could be more appropiate for this than the MV Pandaw. 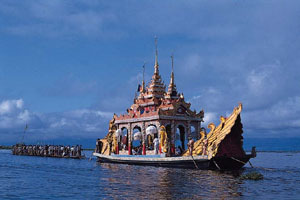 Built in Scotland in 1947, the Pandaw is the same design as the original Irrawaddy Flotilla Company steamers that coped so well in the difficult conditions of the river. The Panday sails between the ancient capitals of Bagan and Mandalay, offering a tranquil and stimulating Myanmar experience. The Pandaw is 150 feet long with 16 comfortable cabins, each with air conditioning and en suite shower rooms. The interior is finished in hardwood, furnished with period peices and home to a collection of historic prints and antiques. The included meals are a mixture of Asian and European with an emphasis on local fish, prawns, tropical fruits and exotic vegetables. Myanmar’s ethnically diverse population is a result of three major migrations from Tibet and Central Asia, the cradle of humanity. 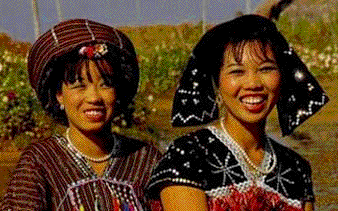 The people of Myanmar are descendants of three main branches: The Mon- Khmer, the Tibeto- Burman, and the Thai- Chinese. The Kaya, Mon, Wa, La, Palaung, Pale, Yao, Riang, Padaung, Yinbaw, Zayein, and others originated from the Mon-Khmer group, while the Shan, Kayin and Taungthu, etc., find their roots in the Thai- Chinese community. The Bamar, Chin, Kachin, Lolo, Rahkine, Kadu, Hpon, Maru, Lashi, Rawang, Azi, Nung, Daru, Yaw, Mro, Inthat, Naga, Gauri, Lisu, Lahu, among others, evolved from the Tibeto- Burman group. 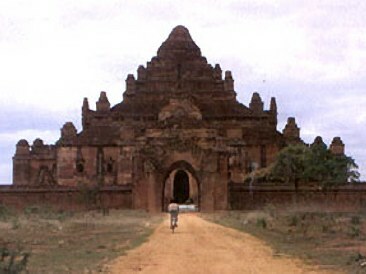 A visa is required for entry to Myanmar.